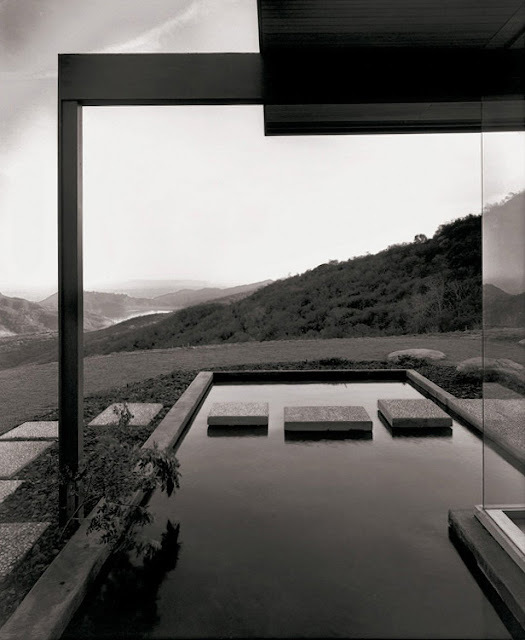 The Singleton House as photographed by Julius Shulman in 1959. 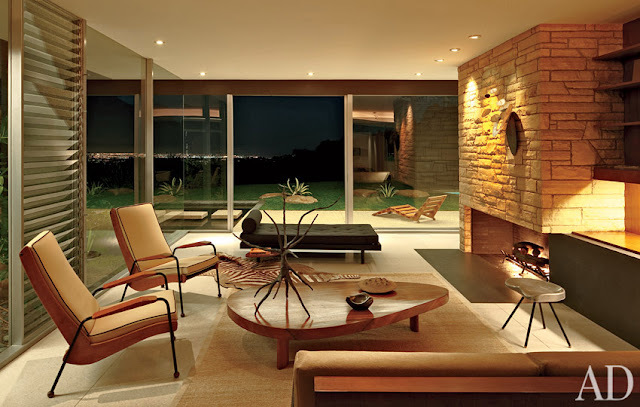 Los Angeles mid century modern architecture. 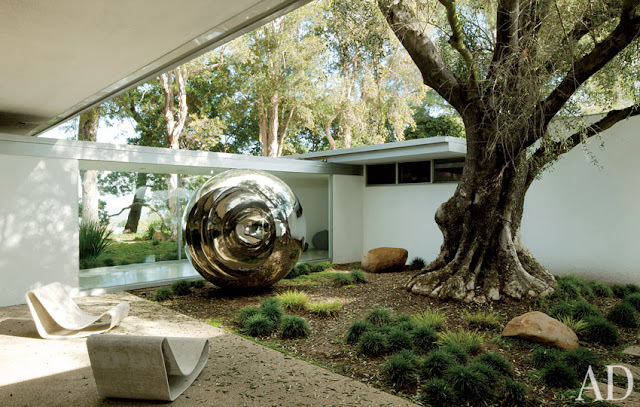 A classic icon of mid century modern architecture, the awe-inspiring Henry E. Singleton House was designed by notable modernist architect Richard Neutra in Los Angeles, California. The house was commissioned around 1955 and construction ended in 1959. 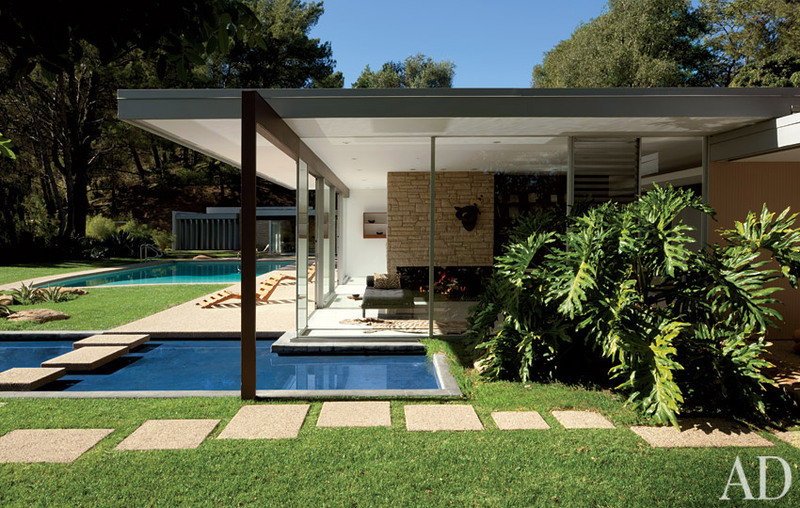 This is one of the better icons of Richard Neutra's fabulous mid century modern architectural style found foremost in Southern California. One of the most important architects of the 20th century, yet often overlooked, Richard Neutra was one of the founding fathers of the mid century modern architectural style. 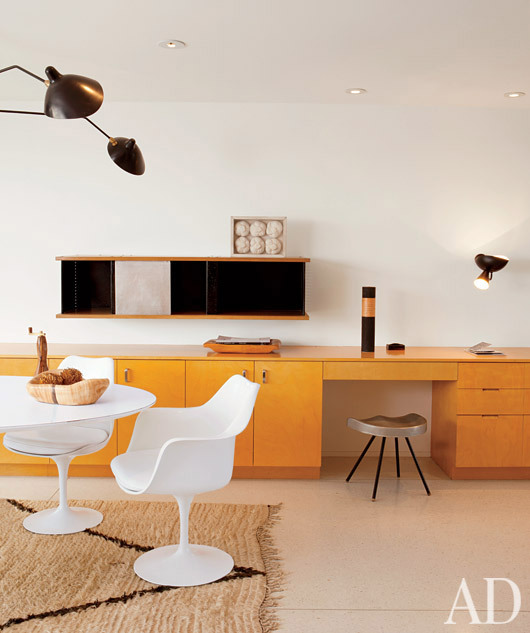 This brilliant modernist house was commissioned by industrialist Henry E. Singleton. Henry E. Singleton, a brilliant engineer who co-founded and built Teledyne Inc. into one of the nation's largest and most enduring conglomerates made an early mark with technological developments, including designing an inertial guidance system now used in military and commercial aircraft. But he became known more for his financial wizardry, as he built up his company through more than 100 acquisitions and later made Teledyne a major investor in other companies. 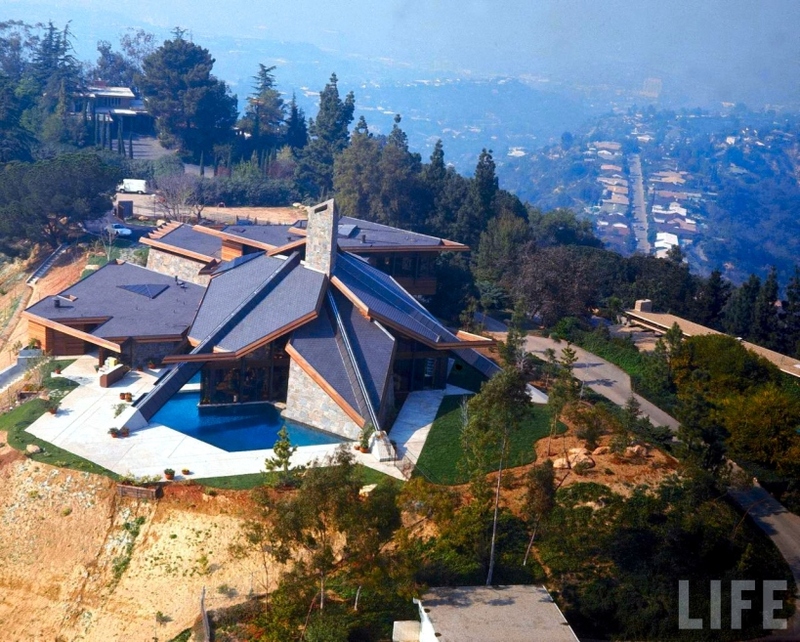 The Henry E. Singleton House was built on a spectacular peak atop Mulholland Drive. Views from the property took in the Pacific and the shiny skyscrapers of downtown, as well as the desert and San Gabriel Mountains. Richard Neutra's Singleton House reflects his pure and clean architectural style. 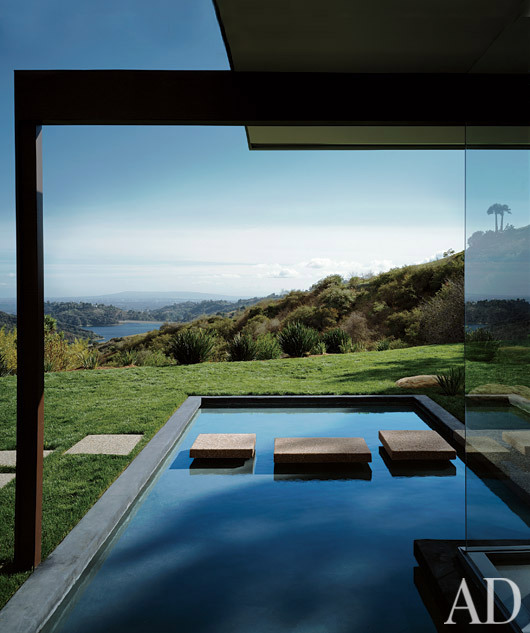 We have always admired Richard Neutra's interplay between house, water and landscaping. The Henry E. Singleton House was purchased by Vidal and Ronnie Sassoon in 2004 and went through a complete renovation under guidance of Ronnie Sassoon. 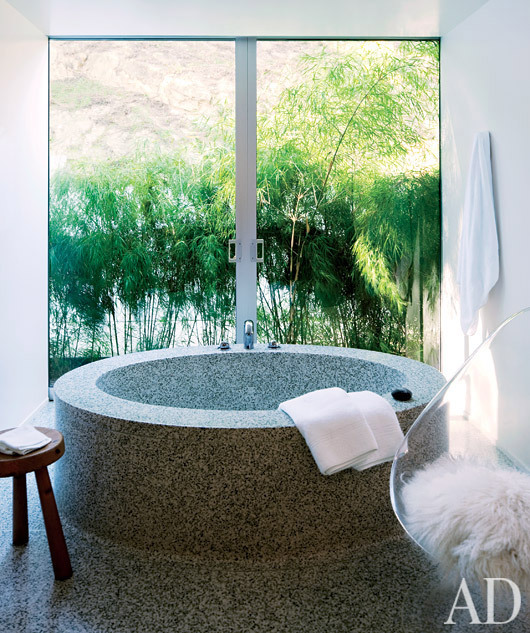 Some mid century modern purists have deemed the renovation totally uncalled for. 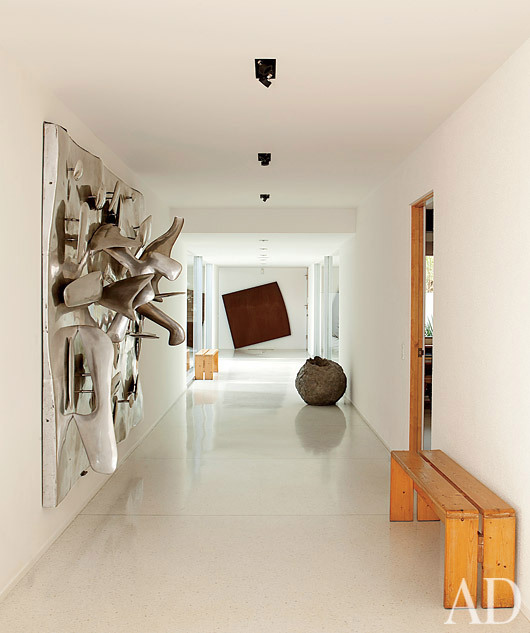 The renovation resulted in a reconfiguration of the original layout including a re-design of bedrooms, art gallery in the joint, as well as kitchen and swimming pool. Regardless of your opinion, this is still an incredible gem of a house that needs to be preserved for future generations. Take a view with Google earth. Two additional modernist gems were constructed in close proximity to the Singleton House. 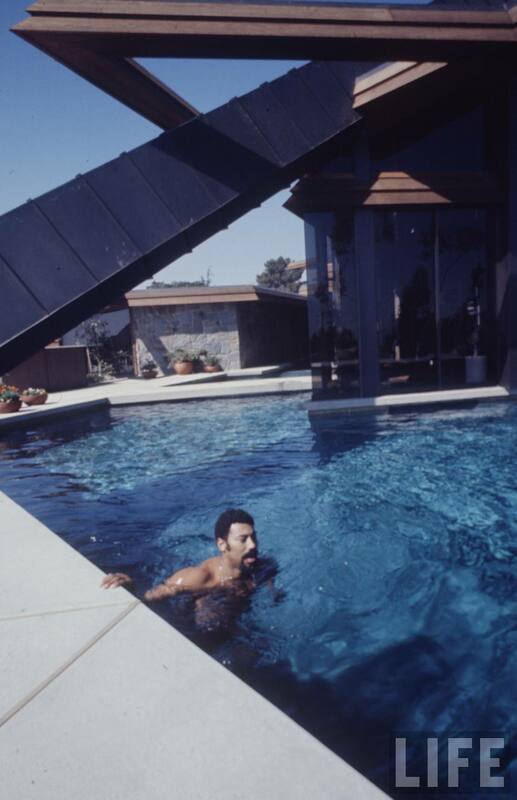 The contemporary white house (located at 15210 Antelo Pl) was constructed in 1986 (architect unknown). 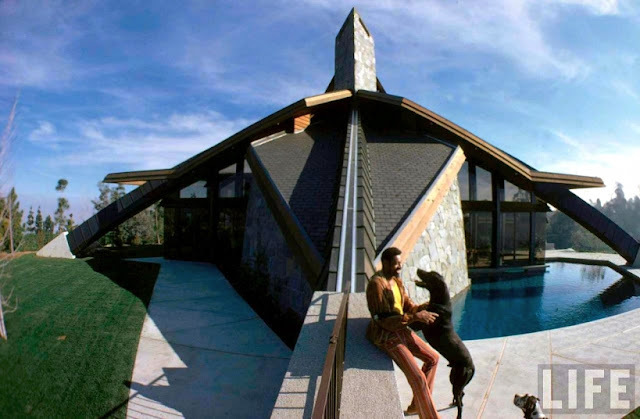 The other one (John Lautner style at 15216 Antelo Pl) was designed by architect David Tenneson Rich for Wilt Chamberlain in 1971. in the style of John Lautner. Wilt Chamberlain truly lived it up in style, notice his white Porsche 911 in the driveway.